My boys love being outside. They are happy as long as there is space to run around and chase each other, a great playground – oh and ice cream! That’s why I thought they would enjoy a day out at Stockeld Park near Wetherby in Yorkshire. Stockeld Park is a large parkland area with different adventures throughout the year. 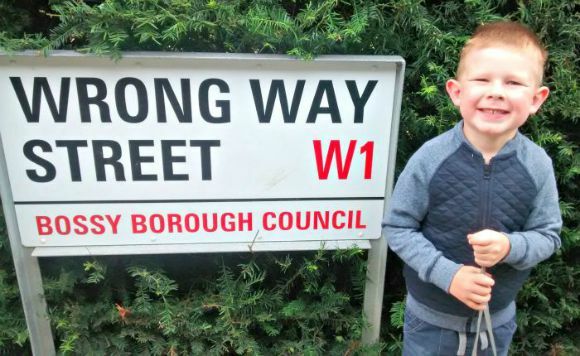 We visited in August to experience their Summer Adventure with our boys aged 5 and 2. 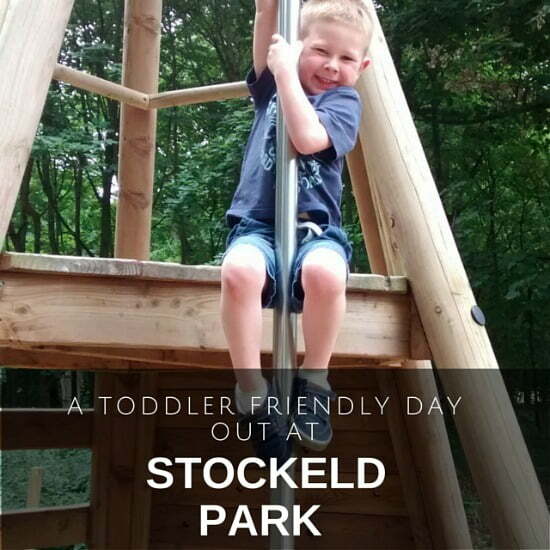 I’d heard lots of positive things about Stockeld Park, and wanted to find out if it was a toddler friendly day out. 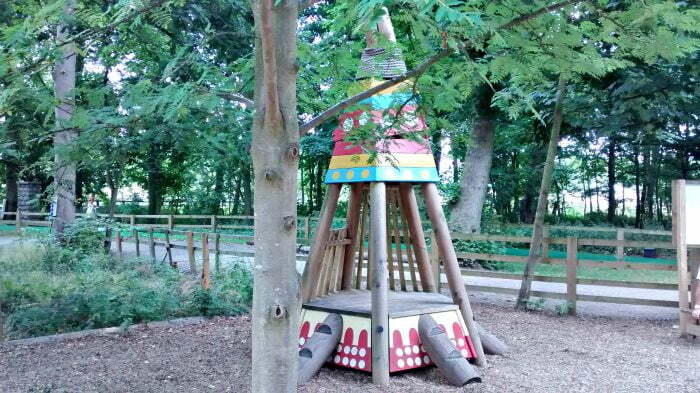 Stockeld Park is a child’s dream day out. My boys ran in and didn’t know what to do first – was it going to be the Maze or the Enchanted Forest, or maybe roller skating, the go karts, or the Inflatable Zone? All these attractions are included in the ticket price and the only thing which is payable extra is the electric scooters. The maze won the vote and off we went to explore that first of all. Of course, we got lost in about 5 minutes, and my husband and I had a hard time trying to keep tabs on both the boys who typically disappeared in different directions. The maze was just a nice size for toddlers and younger children. I have been in large mazes before where we got completely lost for ages, but this one was more manageable for toddlers and smaller children. There were plenty of attractions on the way round to keep the boys entertained. Half way around, they disappeared into a police phone box, and were pressing buttons and trying to make contact with the other phone box in the maze! There was also a tower which we could climb up to get an overview of the whole maze and park. The boy had spotted the Inflatable Zone from the tower in the maze, so we headed off there next. This was a giant slide and a jumping pillow surrounded by a massive playground and large field which was great for picnics. 2 year old Daniel especially loved bouncing and running around on the jumping pillow. It was reassuring to see that there was a member of staff on the entrance to the pillow ensuring that there weren’t too many older children or adults bouncing on it at once making it unsafe for the little ones. 5 year old Matthew loved the giant inflatable slide, and Daniel was very enthusiastic about climbing to the top, but got a bit scared when he was up there! Luckily the staff let him come down with me which he liked. Again, it was really well organised with 2 ‘lanes’ on the slide – one for children under the age of 8 and another one for older children. Children queued up and were allowed to go on the slide as many times as they wanted within a given time period before the next people in the queue were allowed on. Myself and Matthew went on the go karts and had a friendly race with some other drivers! He tried to pedal but his little legs didn’t quite reach the pedals so I had to do all the hard work!! Again, lots of fun and amazingly I didn’t have any crashes or accidents. 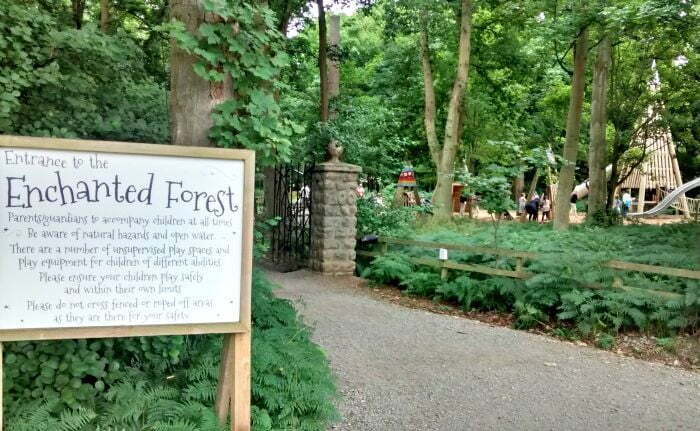 After a spot of lunch, it was time to enter the Enchanted Forest. This was a real highlight for us, and is a really special experience for toddlers and younger children. We entered the Enchanted Forest through some magical gates and the boys started getting excited about what would be in the forest. The first thing they saw was the Tepee Encampment which is a forest playground. There are lots of different play areas in the forest and each one of them has a different theme – I think we could have spent the whole day just in the Enchanted Forest. Deeper in the forest was the Talking Tree (the boys were really intrigued about how a tree talked! ), and then we moved onto the next play area called the Tangle Tree Climb. We played here for ages before heading off again to (another) play area called the Woodsands Cove. This had a pirate ship in it which was a real hit. All played out, we continued walking through the forest past little houses, a teapot with a slide and a house in a shoe – in summary the boys absolutely loved the Enchanted Forest. Matthew wanted to have a go at roller skating so I went with him and exchanged our shoes for roller skates. He was a little unsteady on his feet so I had to pull him along, but his first time on roller skates was loads of fun! Finally, we went to the Ice Cream Parlour to have a well-earned ice cream and drink before heading home with 2 exhausted, but happy, boys. 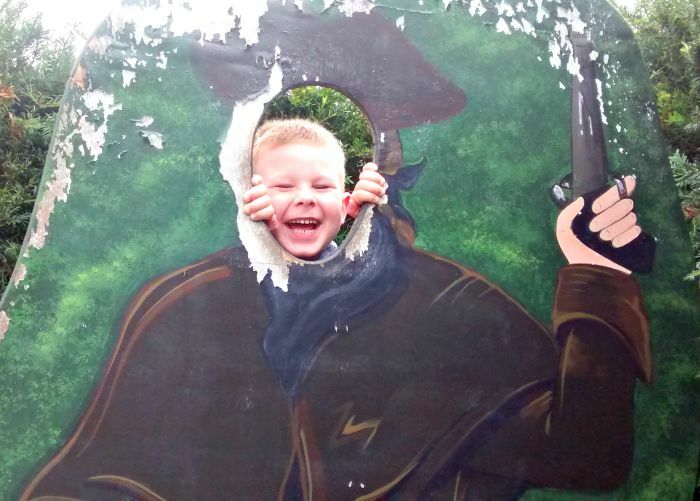 We really enjoyed our day out at the Summer Adventure at Stockeld Park, and I think it is very toddler friendly. 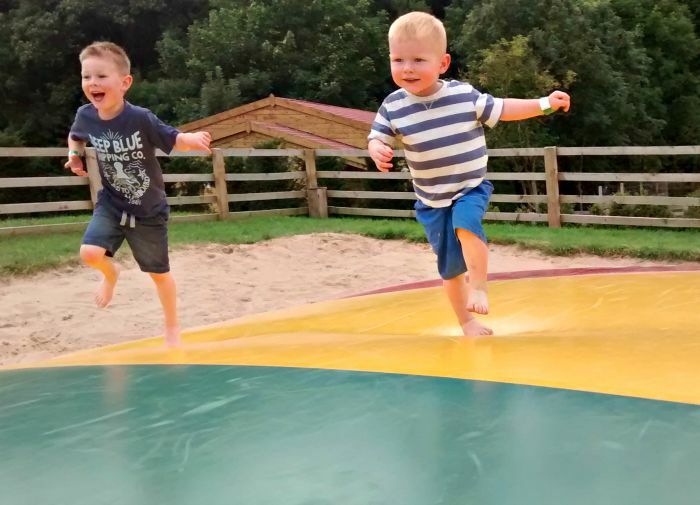 Toddlers, in particular, will love the Enchanted Forest, Father Foster’s Barnyard (playground), jumping pillow and possibly the Giant Slide. You can also take them for a ride on the go karts and get lost in the maze. 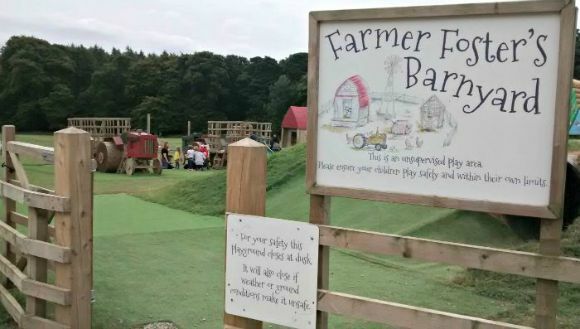 There is an indoor play area but I think you would be best trying to make sure you go on a dry day, so you can really enjoy all the amazing outdoor attractions that are on offer at Stockeld Park. My husband and I are already planning to take the boys to the Christmas Adventure later in the year. The whole site is buggy friendly. The path around the enchanted forest is suitable for buggies, and you can get a buggy in the maze and around the rest of the attractions. There are plenty of baby changing facilities with ‘proper’ changing mats on the baby changing tables. Children aged under 2 are free. Tickets can be booked online in advance. You can hire pull along carts for £2.50 a day. Thank you to Stockeld Park for providing our tickets – we loved it and will be back for the Christmas Adventure! Such an awesome and fun place! I LOVE the look of this place! What fun and I think it’s great they have really reasonable prices for things like hiring the pull along carts. It looks like a crazy amount of things to do. 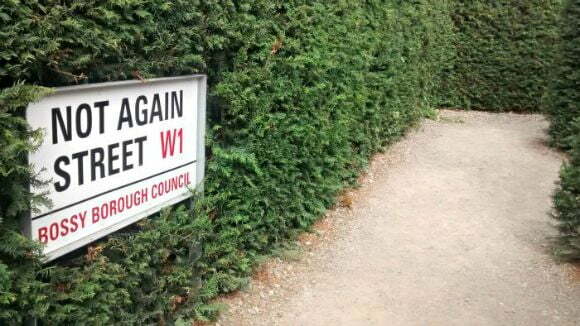 I need to visit Stockeld Park! !